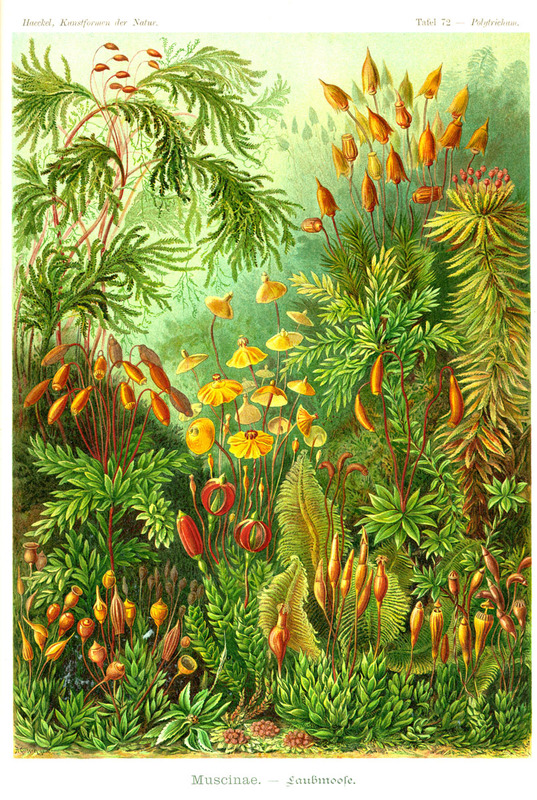 This is my favorite Haeckel illustration, probably because it reminds me of Darwin's words about an entangled bank. Darwin's entangled bank quote is particularly notable because the environmental context of natural selection is emphasized (“widely-different checks act on the same species in different districts”). Chance is thus, not a factor. 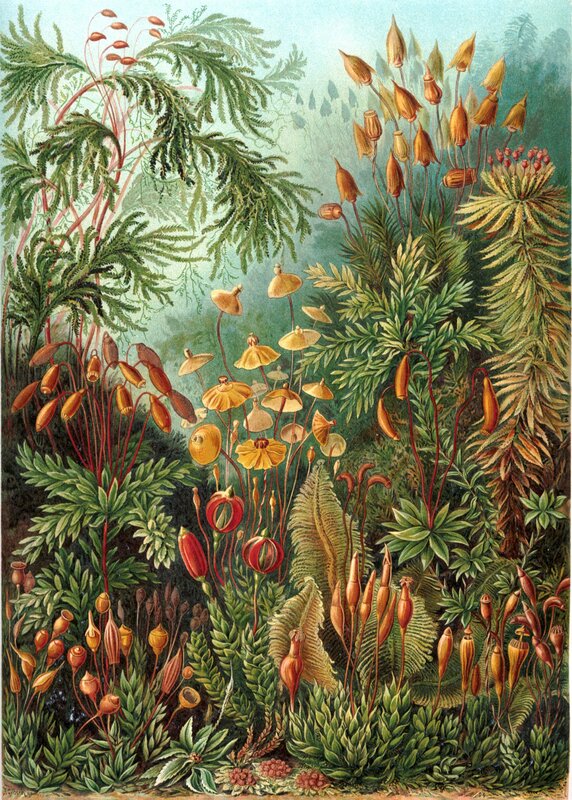 "In the case of every species, many different checks, acting at different periods of life, and during different seasons or years, probably come into play; some one check or some few being generally the most potent, but all concur in determining the average number or even the existence of the species. In some cases it can be shown that widely-different checks act on the same species in different districts. When we look at the plants and bushes clothing an entangled bank, we are tempted to attribute their proportional numbers and kinds to what we call chance. But how false a view is this! Every one has heard that when an American forest is cut down, a very different vegetation springs up; but it has been observed that ancient Indian ruins in the Southern United States, which must formerly have been cleared of trees, now display the same beautiful diversity and proportion of kinds as in the surrounding virgin forest. What a struggle must have gone on during long centuries between the several kinds of trees, each annually scattering its seeds by the thousand; what war between insect and insect - between insects, snails, and other animals with birds and beasts of prey - all striving to increase, all feeding on each other, or on the trees, their seeds and seedlings, or on the other plants which first clothed the ground and thus checked the growth of the trees! Throw up a handful of feathers, and all must fall to the ground according to definite laws; but how simple is the problem where each shall fall compared to that of the action and reaction of the innumerable plants and animals which have determined, in the course of centuries, the proportional numbers and kinds of trees now growing on the old Indian ruins!"